The high risk potential during measurements in high-voltage environments requires an enhanced safety awareness. This means: The user’s life and health should be put in the first place. 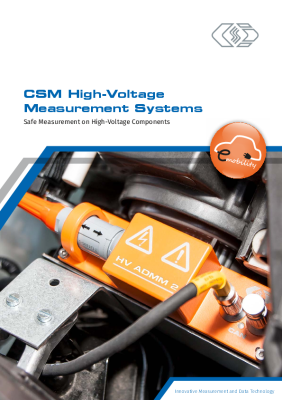 CSM therefore strongly recommends to check the high-voltage isolation of these measurement modules on a regular basis in order to ensure their operational safety at all times. This applies in particular, if high-voltage measurement modules are exposed to strong external influences. This station provides options for testing the high-voltage isolation of CSM measurement modules directly on the customer's premises. This is cost-saving and improves the availability of the high-voltage measurement modules as it is no longer necessary to send them to the manufacturer for testing. During a high-voltage isolation test, the isolation of a measurement input is tested against all other measurement inputs, as well as against the housing, the power supply and the CAN bus.